Headaches in any form can be disruptive to our lives, but not all of them are the same. According to experts, most people don’t know the difference between various types of headaches, like sinus headaches and migraines. That can make a painful situation so much worse. If you’re a human being living on this planet, you’ve likely experienced this kind of head pain. 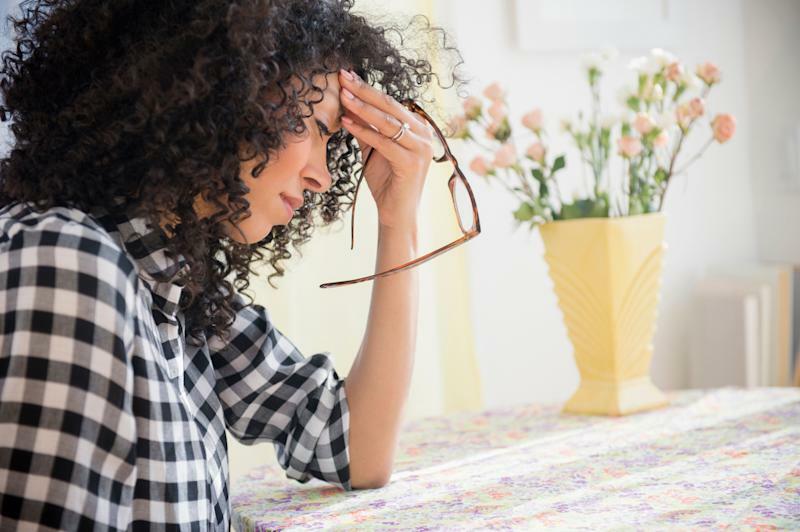 Tension headaches are the most common type of headache by far, with 80% of people experiencing at least one at some point in their life, according to Matthew Robbins, a neurologist at Weill Cornell Medicine and New York-Presbyterian Hospital. When you’re dealing with a tension headache, you’ll probably feel dull pain on both sides of your head, along with some tension or tightness in your neck or scalp. “The main triggers can be having a cold or other illness, changes in caffeine intake and being on the screen for long periods of time,” added Huma Sheikh, an assistant professor of neurology at Mount Sinai-Icahn School of Medicine. Emotional and physical stress, hidden depression, alcohol use and jaw clenching can also contribute. As for treatment, most tension headaches go away in time or can be relieved with over-the-counter painkillers, such as ibuprofen. You can also try drinking more water, getting a massage or getting more sleep, which have been shown to help with headache relief. Ever feel pain around your eyes and temple and automatically assume you have a sinus headache? Surprise! Many of these presumed sinus headaches likely aren’t sinus headaches after all, according to experts. 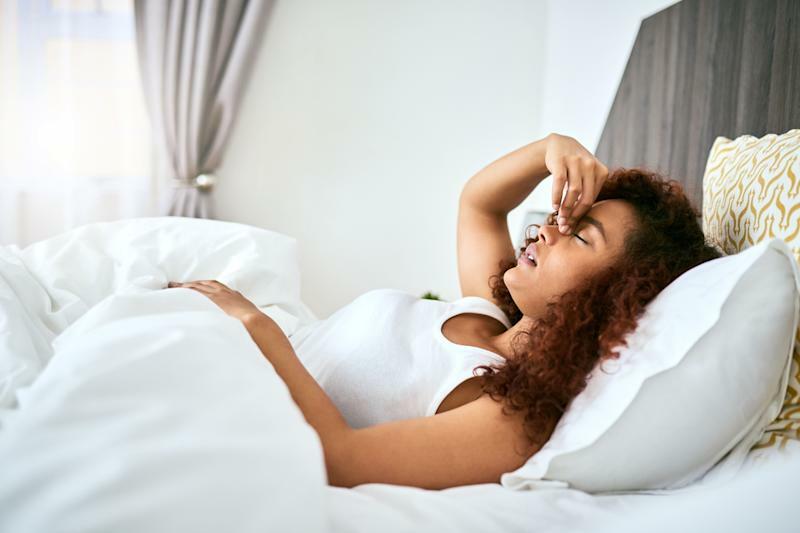 “Many supposed sinus headaches are actually migraines in disguise,” said Noah Rosen, a neurologist and director of Northwell Health’s Headache Center in New York City. True sinus headaches take place when there’s an associated infection in one of the sinuses. The National Headache Foundation says these are rare and usually involve “gnawing pain over the nasal area” that often gets worse as the day goes on. Typically, an individual suffering from a sinus headache will experience signs of infection, like redness, swelling, fever and post-nasal drip that’s discolored. One reason for the misconception is that nerves in the sinus areas are often involved in migraine headaches, Sheikh explained. “Therefore, sometimes people who are having a migraine may have pain in areas of the sinuses, including under or over their eyes, that may be painful with their headaches,” Sheikh said. A migraine can also involve a runny nose and watery eyes, further leading people to incorrectly assume they have a sinus infection. A true sinus infection will usually be resolved by treating the underlying infection. “If it’s from a true bacterial infection, then antibiotics are used,” Robbins said. For a viral infection, you can wait it out, treat the pain and possibly use decongestants, he added. In some cases, such as when the sinuses are chronically blocked or easily become infected, surgery may be recommended. But remember that true sinus headaches aren’t common, so if you seem to be getting them frequently, something else may be going on. One of the most distinguishing and notable features of a migraine is severe pain that’s disabling to the point where you miss out on work and personal commitments. Experts say if you’re getting repeat, severe headaches, you’re more likely to be experiencing a migraine than a tension or sinus headache. Compared with a tension headache, a migraine is much more likely to be throbbing or one-sided, Rosen explained, and will often get worse with routine physical activity. Other signs include light sensitivity, nausea and sensitivity to sound and smell. Some people also experience sensory disturbances called auras, in which they might see zigzags or bright dots in their vision or experience tingling on one side of their body. So how exactly does this type of headache arise? Migraines are essentially a “disease where the pain pathways in the brain and peripheral nervous system are more sensitive than in those who do not have migraines,” Sheikh said. Migraines often have family ties. “An individual with migraine has an almost 70% chance of having a first-degree relative who also has the condition,” Rosen said. The issue can be treated in two main ways: acute treatments that address the attacks themselves and preventative treatments to reduce their frequency and severity. Acute treatments could be over-the-counter medicines like anti-inflammatories and acetaminophen, or a class of drugs called triptans, Robbins said. “Other complementary methods of treating headaches involve yoga, mindfulness and cognitive behavioral therapy, which involve non-medication techniques to decrease the over-sensitivity of the central and peripheral nervous system,” Sheikh said. Some physicians may also recommend Botox or a more technological treatment for qualifying patients. It can be challenging to tell if your headache is something you should be worrying about. If your attacks are severe, it’s a good idea to seek medical attention. 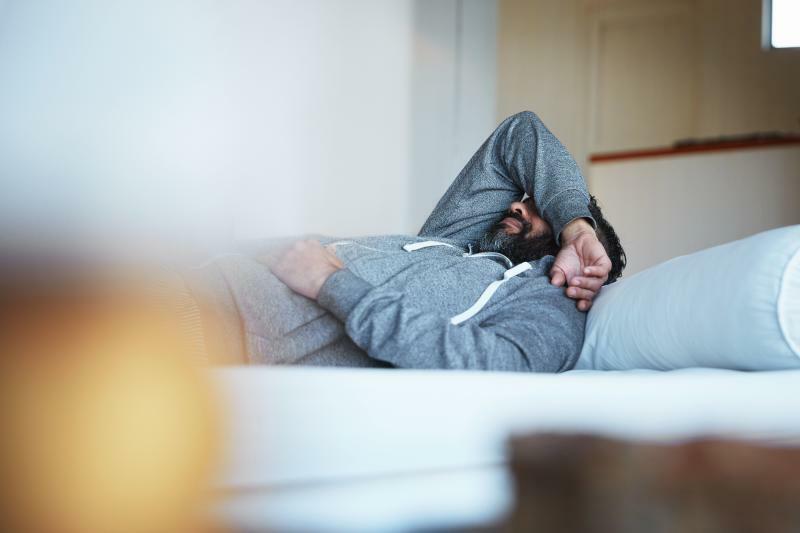 Other red flags include new headaches in someone who’s age 50 or above, neurological symptoms like weakness or numbness in one of your limbs, fever, weight loss, lack of response to usual treatment or a change in headache frequency or characteristics. Of course, there are other reasons to see a doctor, beyond worrying that your headaches may be a sign of a scary medical condition. One big reason, Robbins pointed out, is that plenty of effective treatments for headaches and migraines are now available that allow people to find relief, be proactive in how they manage their condition and keep it from worsening over time.